The Fuseco 485xxx series of DIN rail fuse holders are rated to 32Amps, 50Amps and 125Amps @ 690V, they accept the 10 x 38mm / 14.3 x 51mm and the 22 x 58mm bottle fuses. The Fuseco 485xxx series of DIN rail fuse holders also come in two pole and three pole versions with the same features as the single pole range, they are rated to 32Amps, 50Amps and 125Amps @ 690V, they accept the 10 x 38mm / 14.3 x 51mm and the 22 x 58mm cartridge fuses. The Fuseco Bolt-In series is available from 2amp upwards and includes Motor Start fuses. 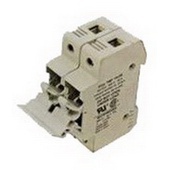 The Fuseco Clip-In series is available from 2amp upwards and includes Motor Start fuses. 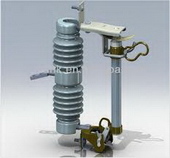 Fuseco offer Medium Voltage fuses to DIN Standard from 3kV up to and including 36kV. Startco/ Littelfuse are World leaders in Arc Flash Detection, Earth/ Ground Leakage and Motor Protection Relays.